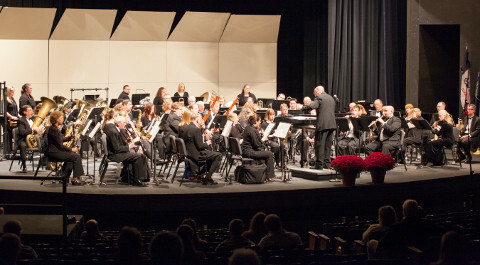 Dr. Charles DCamp is Professor Emeritus and Director Emeritus of Bands at St. Ambrose University in Davenport and served the University for over 30 years. 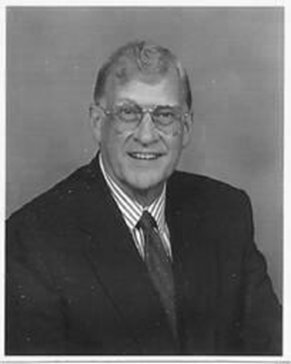 Before coming to St. Ambrose he served as director of bands at Pleasant Valley Schools in Pleasant Valley, Iowa and United Township High School in East Moline, Illinois with a total of over 50 years teaching instrumental music. 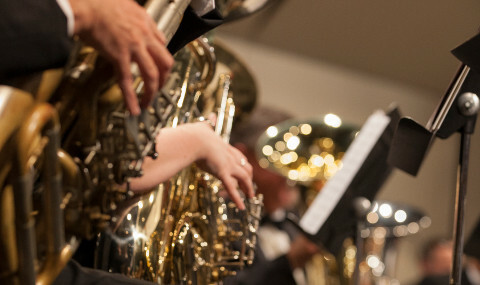 Dr. DCamp served St. Ambrose University as Director of Bands, Professor of Music and Music Education, Chair of the Fine Arts Division, Chair of the University Faculty, and member of numerous University committees. He continues to perform as a clarinetist in the Quad City Wind Ensemble, The DCamp family Band, The CASI New Horizons Band, The Bettendorf Park Band, The Big Top Circus Band, The Heritage of the March Midwest, and the Timber City Band. He has served as President of the Iowa Bandmasters Association and was first Historian of that group. He is winner of the Karl King Distinguished Service Award and the Distinguished Service Award from the Iowa Music Educators Association, and served the IMEA as President, Chairman of Band Affairs, and Editor of the IMEA Journal. Dr. DCamp and his wife, the late Joyce DCamp, are parents of six sons, 15 grandchildren and seven great grandchildren. He is also listed in Who’s Who in America. Through his love of music and people, Dr. DCamp continues to be a leader and mentor for many musicians, teachers, and students both around the Quad Cities and across the nation. The Quad City Wind Ensemble is proud to have his guidance and wisdom.